Opera has declared that it has started testing a new built-in VPN in the Opera beta app for Android. 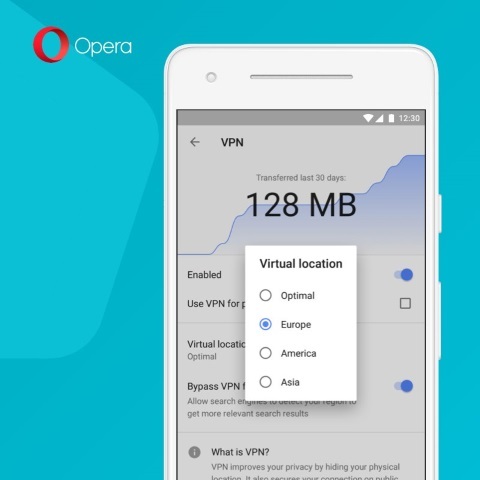 According to Opera, there’s no need to download a separate app to get the VPN up and running — it’s built into the browser itself. 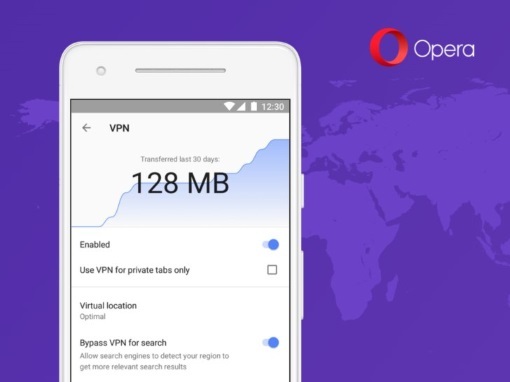 Opera claims it is offering a free VPN to users in order to give them an extra layer of protection when it comes to browsing the Internet and prevent them from snooping. Opera's VPN is a no-log offering that means the information traveling through the virtual IP and the network servers is not collected, ensuring that privacy and security of users' data are not endangered when they are connected to a public network.